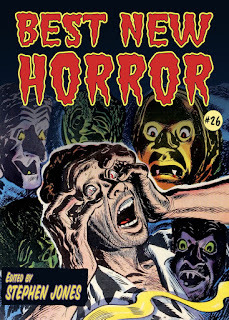 Stephen Jones has revealed the striking cover art and impressive Table of Contents for Best New Horror #26. As previously mentioned here, this year's edition includes my story "The Patter of Tiny Feet," which was first published in S.T. Joshi's Searchers After Horror: New Tales of the Weird and Fantastic (Fedogan & Bremer, 2014).